Common gets energized over electro beats on the title track from "Universal Mind Control," K'naan enlists conscious pioneer Chubb Rock on his new uptempo joint "ABC's," Aquarian Dream roughs up the disco sound with "You're a Star," and Afrodisiac Soundsystem and Chico Mann put a fresh twist on Afrobeat. Rawsoul is back in the studio with loads of soulful hip hop from the likes of Dela, Headnodic and Himuki f/ Rasco. Plus brand new rough funk from Japan's Osaka Monaurail and Tennesee's DeRobert & The Half Truths, and a timely taste of Christmas funk & soul. 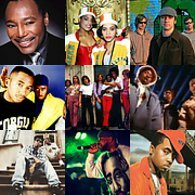 The Pointer Sisters and Baby Huey throw down grimy funk, The Isley Brothers and Ike & Tina Turner get raw, and J.Period & Q-Tip drop the timely new "Q-Tip for President." Plus a live in-studio cypher featuring Organized Konfusion's legendary Prince Po and fellow "Ice Bears Tour" MCs Edreys and Paulie Rhymes. 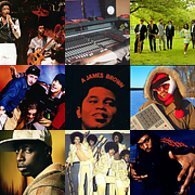 Featuring new standout tracks from Madlib the Beat Konducta, Black Milk and Canada's own DJ Nana, feel-good disco breaks from the Family Tree and Positive Force, a Sharon Jones favorite retouched by DJ Spinna, plus an exclusive Static blend pairing Nice & Smooth's signature flow over a nasty N.E.R.D. beat. 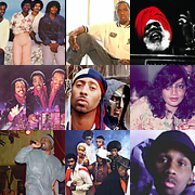 Lyrical heavyweights Elzhi and Royce da 5'9" spit fire on "Motown 25", George Clinton puts a twist on the classic "Mothership Connection" and Rare Gems Odyssey ponders "What is Funk?" Plus golden soul by Leroy Hutson and new West Coast bangers by Strong Arm Steady and People Under the Stairs. Firing up the "funk box": WEFUNK digs into some of the earliest drum machine funk, some recent Swedish Afrobeat from Sofi Hellborg and a Sly Stone/LL Cool J sample moment. Plus a slice of Montreal flavor, from the infectious synth funk of Tony Ezzy and Payz Play to Corey E's poetic musing. Lil Sci and acclaimed producer Carlos Niño team up on the massive new track "Freedom". Little Royal, Joe Tex and Chuck Carbo (RIP) pound out grimy funk burners. 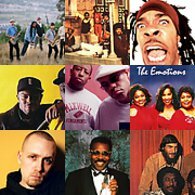 Plus soul classics from RAMP and the Dramatics, an EWF/Brand Nubian sample moment and blazing new singles from Joell Ortiz, The Good People, and DJ Revolution featuring "The Teacha" KRS-One. 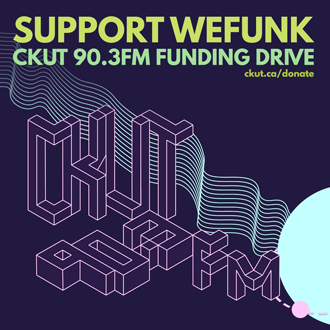 Tales of the Purple One: WEFUNK digs into Prince's funkiest moments in special feature show with guests Duke Eatmon and Ron Maskell. From homegrown to international: DJ Static shines the spotlight on new European hip hop, Mtl's Karma & Lotus return to speak on their latest album "Honest Truth", and NYC artists J-Illa & Kaloket drop by to show their stuff. Plus loads of soulful funk, funky soul and soul-jazz from Marva Whitney, "Brother" Jack McDuff, Mel & Tim, The Soul Children, Blue Mitchell and more. The JBs ask the age old question "I'm Paying Taxes, What Am I Buying?" AZ spits fire on his new track "The Secret" featuring Raekwon and Charlie Rock. Plus rough & raw funk from James Young and Lee Fields, scorching latin from The Alexander Review and Irakere, and foundational old school cuts by World of Mouth, Rock Master Scott, U.T.F.O. and more. Tanya Morgan drops their blazing new anthem "Shake It Off", KRS-One & Que B.I.L.L.A.H. get back to basics with "Today's Lesson", and the Soul Believers and Ray Barretto get the soul drums pounding. 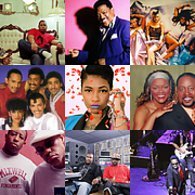 Plus Al Green old & new, from 2008's "Just for Me" to the signature drums of "I'm Glad You're Mine" (back to back with Eric B & Rakim's "Mahogany"). DJ Fiend is back for another guest set featuring lots of late-90s hip hop gems by Organized Konfusion, Tha Alkaholiks, Busta Rhymes, Mic Geronimo, Jurassic 5 and more. Plus Freddie Hubbard's magnificent jazz-funk epic "Povo", solid new-generation Afrofunk by the Souljazz Orchestra, and more African and Cuban flavors from the likes of Manu Dibango, Wisdom and Grupo Los Yoyi. Vox Sambou from Nomadic Massive gives WEFUNK a tour of his new solo album "Lakay". Vernon Burch, Edwin Starr and Bigfoot reveal the rough underbelly of the disco era. And Static drops a fiery uptempo hip hop set finishing off with a Jungle Brothers/People's Choice sample moment. "It's Nothing" shows you still can't test Rakim Allah in 2008! Hammond legend Jimmy McGriff (RIP) struts his funk side, and unsung Afrofunk pioneer Geraldo Pino gets "Heavy Heavy Heavy" in the groove. 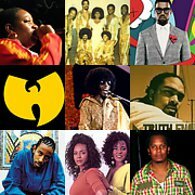 Plus two monster all-star posse cuts (featuring Chuck D, Big Daddy Kane, Nas and more) and a back-to-back-to-back sample moment with Lord Finesse, Biggie and James Brown. Jazz vibes across space and time: From a rare Ed O.G. track featuring the Last Poets' Umar bin Hassan to brand new Swiss hip hop by the APT. Percussion masters Mongo Santamaria, Ray Barretto and Charly Antolini pound out pure latin fire. And the soul light beams on with new songs by Jamie Lidell and the still incredible Al Green. WEFUNK rounds up another Funding Drive cypher featuring the inimitable Loe Pesci, Butta Beats, Lou Piensa and Blackbird. And at last, the much-sought secret of one of our new intros is revealed: Midnight Express' monster boogie track "Danger Zone". The Roots' new "75 Bars" is a one-verse monster with Black Thought at his fiercest. 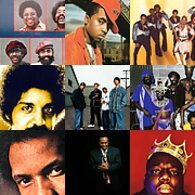 Plus indie classics "The Life" by Mystic and "Return" by Self Scientific, Roy Ayers' underrated "Funky Motion", a trio of Sly Stone picks, and legendary breakbeat munitions from the Soul Searchers and the Dynamic Corvettes. 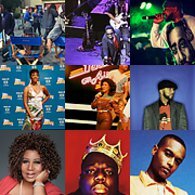 Ladybug Mecca lends her sultry vocals to Common's "The People" remix, Outkast is in top form on "Royal Flush" (featuring Raekwon), and Q-Tip revisits "Midnight" with Cool & Dre on production. Bo Diddley and Jimmy Smith demonstrate the smooth art of seduction with "Take It All Off" & "Give Up the Booty", plus the many faces of Busta Rhymes — from 90s headnod joints to his brand new "Don't Touch Me". Guest DJ Fiend gets the mix moving with a heavy stack of underground gems from Mos Def, the Artifacts, Mad Skillz, AG, Saukrates, the Nextmen and more. Professor Groove gets into some rugged funk cuts & soul classics including Marlena Shaw, the Counts, Robert Moore and Donny Hathaway. Crucial ol' skool cuts by Sugar Bear and Spoonie Gee, an all-time Canadian classic "Money or Love", and raw new generation funk from The Lions, Lack of Afro and Erykah Badu. The Hypnotic Brass Ensemble reinvents the b-boy classic "Shaft in Africa", and Sputnik Brown switches up their vibe on their latest "Unadulterated (Remix)". 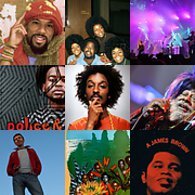 Gnarls Barkley updates the classic Motown sound on "Run", the Mighty Underdogs bring back fun and positivity on "Bring Me Back", plus boogie classics from Central Line and Mtume, Slave's drugged-out "Warning", and serious new heaters from Akrobatik, Guilty Simpson, Minnesota and Ghostface. 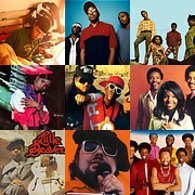 Professor Groove provides a pure dose of the Funk: Eddie Kendrick's deep psych-soul epic "My People Hold On", a pair of slept on James Brown pearls, New Orleans heavy hitters from the Meters, the Fantoms and Aaron Neville, plus rare groove classics by Marlena Shaw, Grover Washington Jr. and the Sisters Love. Static drops hip-hop gems from all eras, from 90s Bush Babees and Lord Finesse to brand new Treach and Keelay & Zaire. The Beatles, Bob Marley and James Brown get re-touched in a trio of funk covers. Moussa Doumbia and Mombasa invoke the groove of Mother Africa, and the Artifacts rip rhymes over Galt MacDermot's haunting "Ripped Open by Metal Explosions". Soundtrack attack: soul & suspense from the scenes of Shaft's Big Score, The Streets of San Francisco and Slaughter's Big Rip-Off. Stahhr, Apani B Fly, Incks and Amanda Diva represent lovely for the queendom of hip hop. Herbie Hancock and Big Band Katowice cook up rough jazz breaks, and Static makes the connection from Ultimate Force to Diamond D to Black Sheep.